Lot's of reverberations in the rapidly-consolidating talent management services and software world with IBM's $1.3 bn scoop of RPO and talent software firm Kenexa. 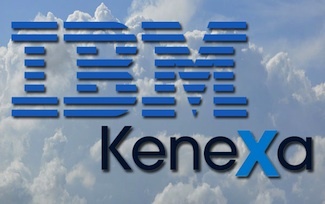 The acquisition places IBM in pole position as a Recruiting BPO services provider, however, the big question now is whether it will next acquire a cloud talent platform, or invest in developing the existing Kenexa software. Filling the talent gaps has taken center stage as a business requirement. Gaining access to better talent and improving capabilities has become the most elevated business outcome requirement from business operations leaders, as emphasized in our recent global business services study, which we conducted jointly with PwC. Talent management is a core business management competency. Access to leading edge talent services, analytics, content and software needs to be pervasive across business functions and not solely confined to the HR department. Having firms such as IBM and Accenture pushing Recruiting BPO and talent services at their C-Suite relationships is vital to move the talent management needle into strategic business discussions. The talent game needs to be about business outcomes, not tactical inputs. While IBM clearly has work to do developing a talent management Cloud platform, we believe it is the business outcomes of the integration of social, analytics, talent software and BPO services which clients really care about most – not solely the tactical elements of a software product. HfS believes IBM is likely to be eyeing a further acquisition in the talent management software space as Kenexa brings a very strong Recruitment Process Outsourcing competency and IP in employee engagement and compensation, but was still developing out its cloud platform. HfS estimates that two-thirds of Kenexa’s revenues are Recruiting BPO services and about a third directly related to cloud revenues. With a $20 billion cloud budget to spend, talent cloud suites such as Cornerstone OnDemand and SilkRoad are surely being evaluated as potential targets. 1) It just had a quarter that makes the Boston Red Sox* look good, taking an $8.9bn loss, fuelled by a massive write-down from its 2008 EDS acquisition and a couple of billion in severance costs from its recent layoff. 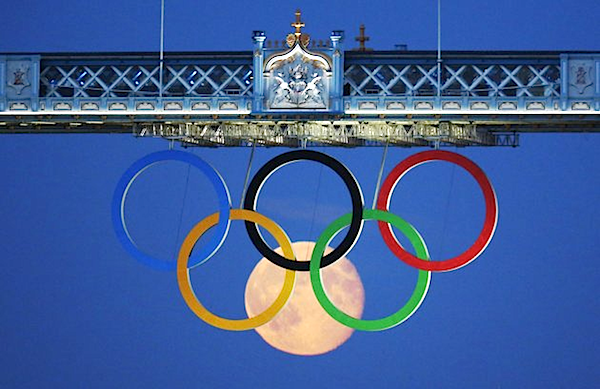 2) It cancelled its September global analyst summit. We haven't seen this type of thing happen since the days of the dotcom bust. A major tech services provider wimping out from facing the analysts at the last-minute? OK - so the financials were immensely horrible. Having to admit to its shareholders that it paid an obscenely high price for EDS, combined with managing the integration so poorly it's barely worth a quarter of what it paid for it in today's market is a bitter pill to swallow. But hey - we're a forgiving world, right? We love a comeback story, right? Can't HP become the Bill Clinton of the services business? Didn't John Travolta resurrect his acting career quite well after Two of a Kind? Instead, someone in HP has made the decision to run and hide - to cancel their September analyst event, where we had already planned our pub crawls with our friends flying over from Europe, where we were prepared to open our hearts to Meg to find some semblance of hope for the future of the firm. Sadly, refusing the face the world and communicate the growth plan only fills us with even more dread for the future of the firm. It sends the wrong message. We made the point, with the recent layoffs, that Meg Whitman is doing what she was hired to do – straighten the ship, re-energize the management talent and getting HP on a roadmap to competitiveness. We know HP needs to gets its financial ship in order, so there's not a lot else to hide, is there? Is confidence with the leadership now so low, that it can no longer take a few pots shots from the analyst peanut-gallery? Clearly, Meg is realizing she has to perform a lot more aggressive surgery than this to right the ship. 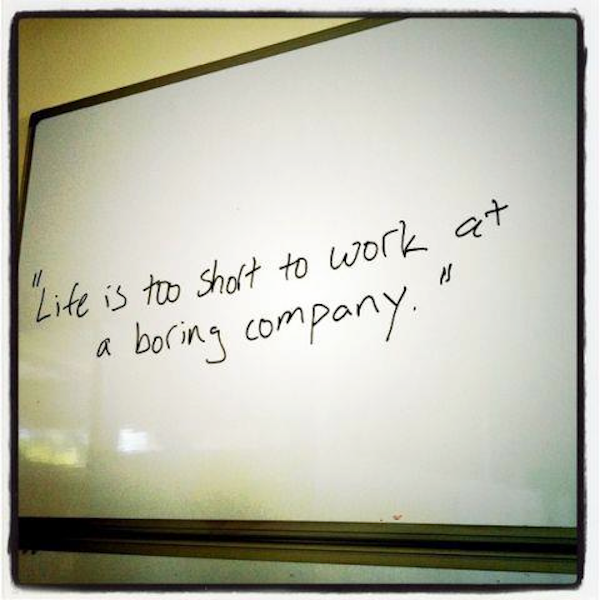 However, shying away from the global analyst community sends the wrong message. HP has a lot of positives to sell us - I sat through an interaction discussion this week with one of its BPO leaders and there is still a great customer-centric culture, a solid market footprint and some glimmers of hope for future client wins. We talk to HP customers all the time and their main concern is the direction the firm is taking - not the current performance managing their day-to-day IT and business services needs. 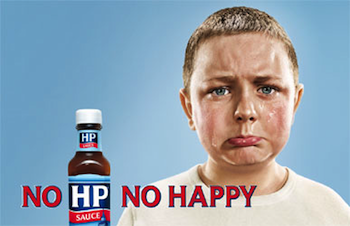 The picture above is taken from a famous British advertising campaign for "HP Sauce" which is actually a very popular "brown" sauce in Britain (tastes a bit like Worcestershire sauce). The campaign that depicts how how awful life would "without HP"
*Readers from the United Kingdom can substitute said analogy with "Liverpool FC". 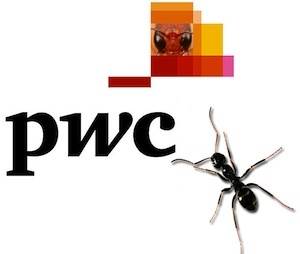 Why does PwC want an Ant's Eye View of the world? Hey brother, can I score some billable hours? Now if someone had told me a couple of years' ago that Big 4 consultants would start acquiring firms with names such as "Ant's Eye View" I may have remarked that you may still be suffering from those over-indulgences of the '60s and '70s. So what on earth's an "Ant’s Eye View" ...and why did PwC acquire one? On August 14, PwC announced its intent to acquire social media strategy firm Ant’s Eye View (AEV). There are all sorts of reasons to dismiss this acquisition – this is neither the first nor the last acquisition we’ll see by big companies attempting to acquire their way into the social business space – but we’re actually guardedly optimistic about this one. The most exciting change in the world of outsourcing has been the increased focus on services that are based on expertise augmentation and a genuine return on investment (which is why so many people want to use a different terminology). 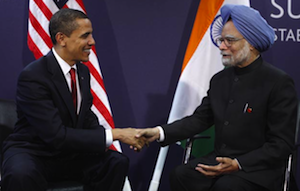 The recent issue regarding Infosys landing in hot water over alleged misuse of B-1 visas is being completely overblown. 1) CIOs and CFOs have a right to know about the legality of their onsite personnel. When you have staff from overseas locations working intimately - and in close physical proximity - with your local staff, you need to be sure they are present on the appropriate immigrant visa. If you are using a purely remote outsourcing service - such as a payroll processor, then you are simply acquiring a service and this shouldn't be a concern, however, if you are having services staff performing tasks that are directly visible to your employees in a work setting, you should ensure these immigration issues do not create negative exposure for your firm. 2) All service providers use all the various immigration visas. H-1s, L-1s, B-1s, O-1s, Green Cards - they all form part of the global sourcing equation when staff are required onsite. The bone of contention with the recent issue has been the use of the B-1 business visa, which includes "negotiation of contracts, consultation with business associates" as part of its usage, provided the purpose is not "gainful employment". Forgive me if I am wrong, but if an India-based expert visits a US client temporarily to support a contract process or consult on getting an onsite-offshore project working, then there really ain't too much wrong with using said visa for said purpose. "The unemployment rate among information technology (IT) professionals remains at about half of the national average at 4.4% in the first quarter of 2012 — and that’s no surprise given the strong demand. Hiring managers are even facing stiff competition in securing some key types of IT skills"
The reason many of the service providers are keen to bring talent into the country to work on engagements is because they bring the experience of managing offshore personnel, and helping with the provision of scarce skills for the client. This isn't always about saving a few dollars from someone's rate card, it is about making these global sourcing engagements work effectively. Moreover, many of the "landed" account/project managers working onsite in locations such as the US are training the local staff to manage international staff effectively. 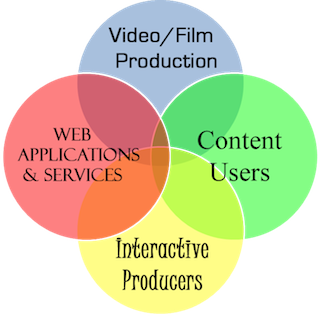 4) Having global project experience is critical for US IT professionals. The signs are good that US enterprises will increasingly be looking locally for IT staff (which our new study findings will reveal next week), and will be seeking a strong balance across their Indo-US IT staffing models. Hence, they need to up their skills with having US staff schooled in managing global projects. The only way to do that is to have experienced account/project managers spend time with local staff to help develop their management experience. You can't run this all in a remote model - you need mixed teams of provider and client staff to make these engagements work effectively. Having petty stories like this being blown up in the media is only causing negative emotions and xenophobia to be stirred up needlessly in this year's political melting-pot. We operate in a global business climate these days, in case anyone hasn't noticed... it's time to embrace and compete, not resist and fall further behind.